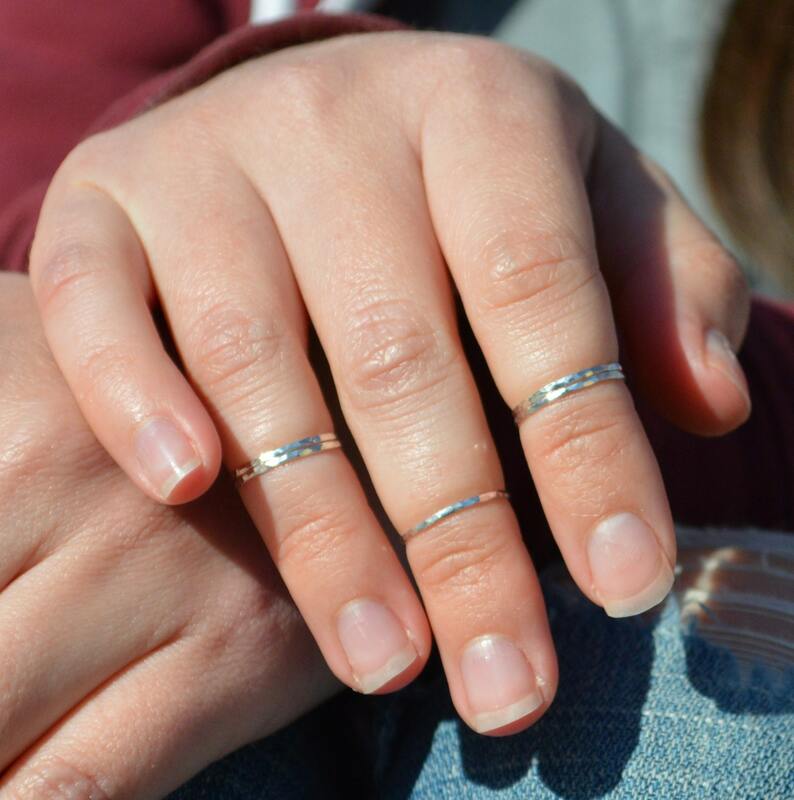 These rings, designed to be worn between the first and second knuckle, are Minimal & Simple - Dainty Hammered Sterling Silver Bands. Rustic, Understated Luxury. - Delicate hammered silver ring. - Shipped in a cute box ready for gifting. 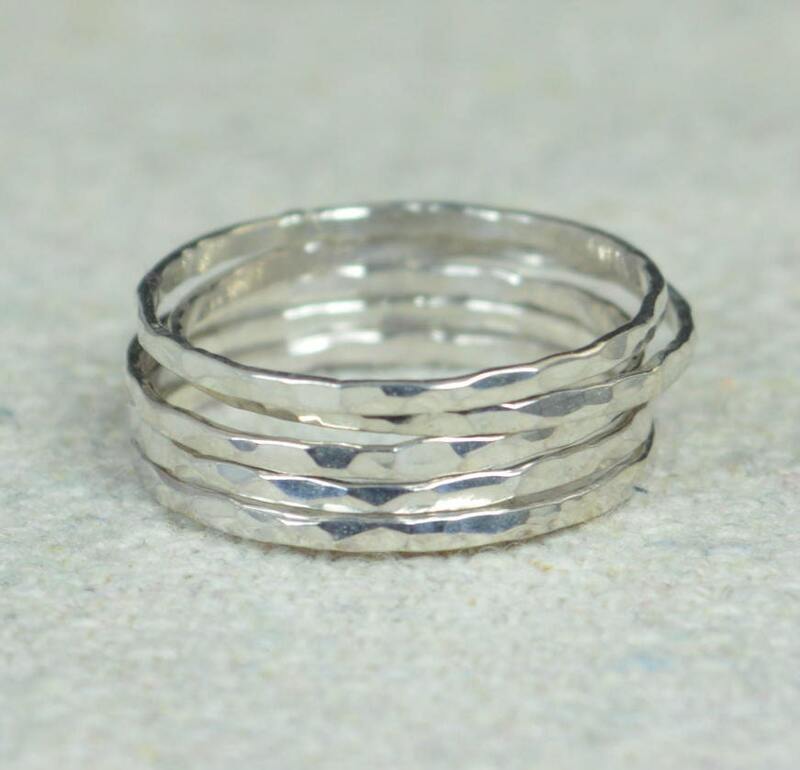 Each ring is made with high quality American Sterling Silver. I love this ring! I got 6 and absolutely love them! When I had a question, he got back to me in a decent time frame and was very polite. I will be ordering from here again, eventually. 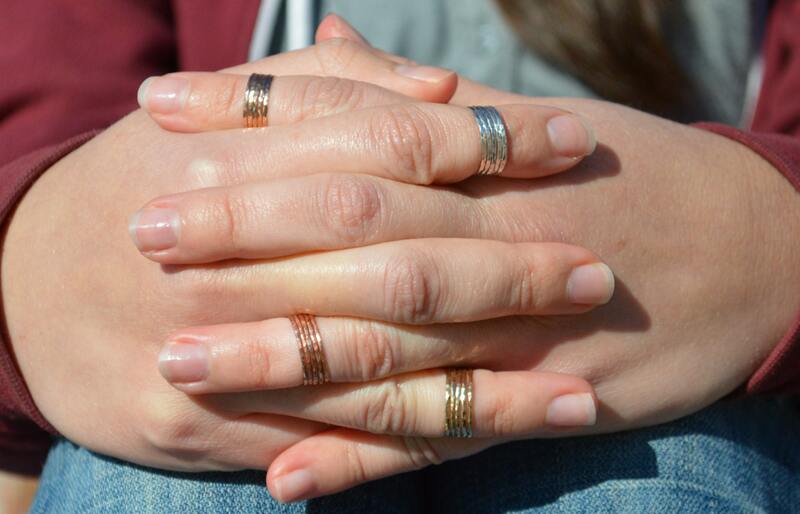 These rings are the absolute cutest! They’re incredibly thin but strong, and the hammered detail is beautiful. Love!! Love it so much I ordered another!